In a season that has thus far been as negative as any in recent memory, Louisville finally got it’s first win of the 2015 campaign last Saturday by destroying an outmanned Samford squad. Despite being an FCS school, Samford came into the game with a 2-1 record and a promising quarterback, not to mention former Murray State head coach Chris Hatcher who had familiarity with UofL running the show. Look I know, I know……Samford is an FCS school. And, I totally get it. I am not a huge fan of programs scheduling FCS schools and cutting out a paycheck just to get one win closer to being bowl eligible every season. But hell, at this juncture Louisville desperately needed to win a game and feel positive about something, anything. And fortunately, the positives came in droves on Saturday. Petrino finally bit the bullet and re-inserted Lamar Jackson back into the starting lineup at QB which lead to a performance that would go etched into the Louisville Football record books. 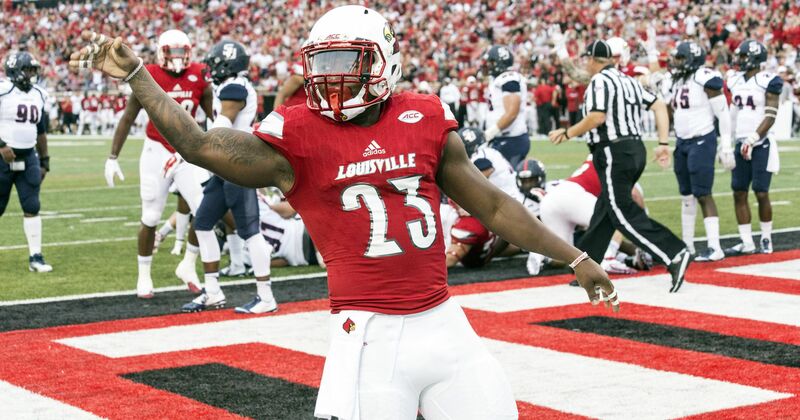 Jackson finished the game with two rushing TDs in addition to two more through the air in helping the Cards grind out 45 points – giving the Cardinal faithful reasons to believe that this Petrino offense has signs of life still yet. Again, this win came against Samford and it’s all about perspective. Nevertheless, I think a win after starting the season with three gut wrenching losses is exactly what the doctor would have ordered for this UofL’s teams’ ills. So now comes arguably the biggest game of the year this season for UofL – at NC State this weekend. Yeah, I know that the Wolfpack are not the likes of Clemson or Florida State in terms of talent. It matters not, however, as this game could do one of two things for this Louisville team. Lose, and you’re setting at 1-4 with a road game at top 10 Florida State right around the corner. Win, and despite what may or may not happen in Tallahassee, the Cards set themselves up for at least six or seven wins which would lead to the school’s 5th consecutive post season bowl game. But winning in Raleigh will not be easy. 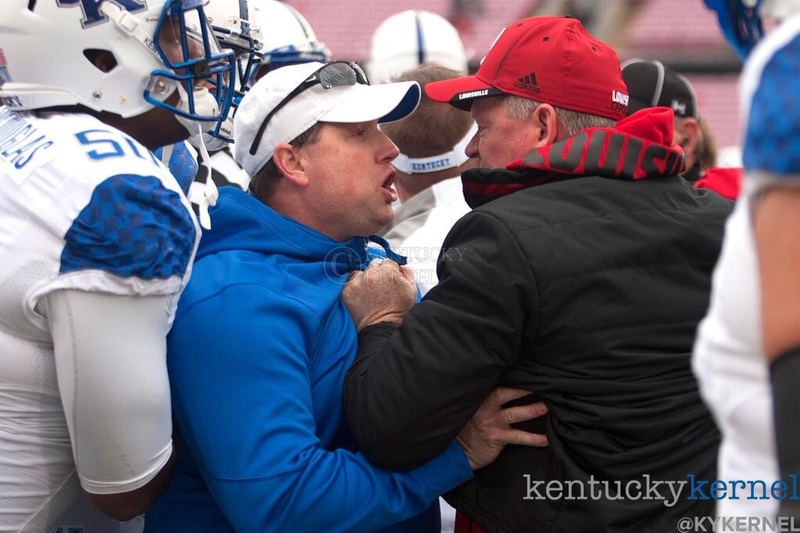 Although untested, NC State is unbeaten and has the revenge factor in it’s corner following a loss at PJCS last year. Plus, this Louisville team has yet to even play a true road game so anything could transpire. Not even the late Ted the Rooster from Irvington, KY could make a calculated guess as to how this game will turn out. One thing is certain – it’s gonna rain. But rain might be putting it mildly. The remnants of a newly developed hurricane are almost certain to hit Raleigh on Saturday. 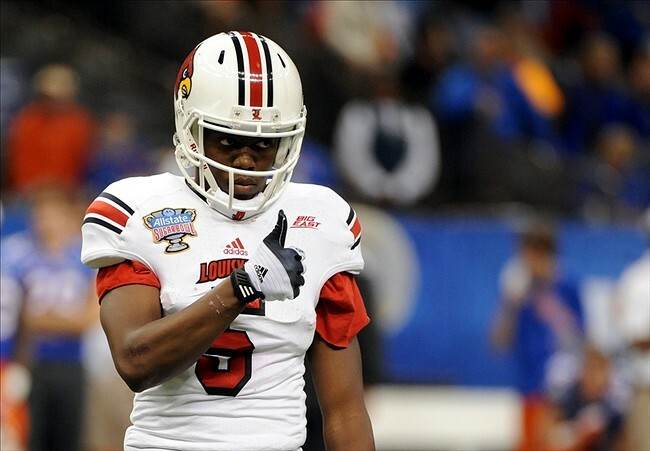 Crazy enough, that could bode well for UofL being that Lamar Jacskson is a run first QB. Then again, the Wolfpack run the ball almost 67% of the time on offense so Mother Nature could play into their favor as well Saturday. Whatever happens, I’ll be watching (Wave 3 / ACC Network) and hoping for Cardinal win. Looking way ahead, I see this season ending with a potentially ironic situation. It is not out of the question that UofL could enter the friendly confines of Commonwealth Stadium in Lexington to end it’s regular season by needing one more win to become bowl eligible. Kentucky, thanks to it’s newfound ability to beat other average SEC teams not named Vandy, looks to almost be a shoe in for already being bowl eligible before the ’15 Battle of the Bluegrass. So, essentially the tables would be turned in just one year after Kentucky came to Louisville last year needing another victory to get to the ever coveted 6 win mark. THIS is why I love having this particular game at the end of the season. Aside from bragging rights, the game potentially carries direct post season implications. I shouldn’t put the buggy before the horse, but I am counting on UofL to find enough wins on the latter half of their schedule for that last game to have extra meaning. In the immediate future, I just want to hear less talk about how “dope” UofL’s newest uniform scheme is and see more evidence that the Cards are forming an identity.